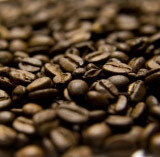 Compounds found in coffee could inhibit prostate cancer, a European conference is to hear today. A pilot study, carried out on drug-resistant cancer cells in cell culture and in a mouse model, found that cells treated with two compounds – kahweol acetate and cafestol – grew more slowly than controls. Researchers tested the compounds on prostate cancer cells that had been transplanted to mice – four were treated with kahweol acetate, four with cafestol, four with a combination of kahweol acetate and cafestol, and four were controls. They found that while kahweol acetate and cafestol inhibited the growth of the cancer cells in mice, the combined compounds led to significantly slower tumour growth than in untreated mice. First author Dr Hiroaki Iwamoto, of Kanazawa University Graduate School of Medical Science, Japan, will tell delegates at the 34th European Association of Urology Congress (EAU19) in Barcelona that after 11 days, the untreated tumours had grown by about 3.5 half times the original volume, while the tumours in the mice treated with both compounds had grown by about 1.5 times the original size. “It is important to keep these findings in perspective,” he said. “This is a pilot study, so this work shows that the use of these compounds is scientifically feasible but needs further investigation; it does not mean that the findings can yet be applied to humans. His colleague Professor Atsushi Mizokami, also from Kanazawa University Graduate School of Medical Science, said the findings were promising, but added that people should not change their coffee consumption in the light of the results. “Coffee can have both positive and negative effects (for example it can increase hypertension), so we need to find out more about the mechanisms behind these findings before we can think about clinical applications,” he said.